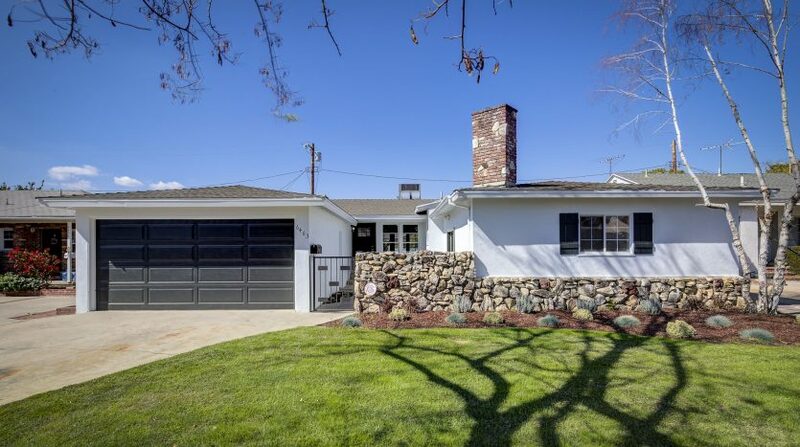 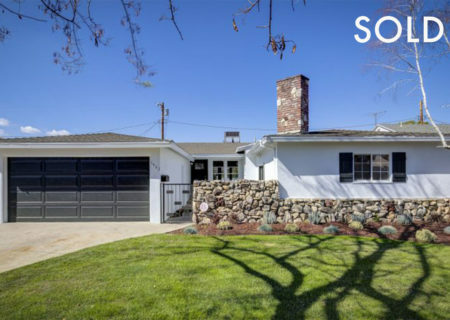 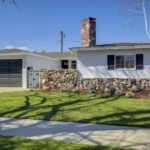 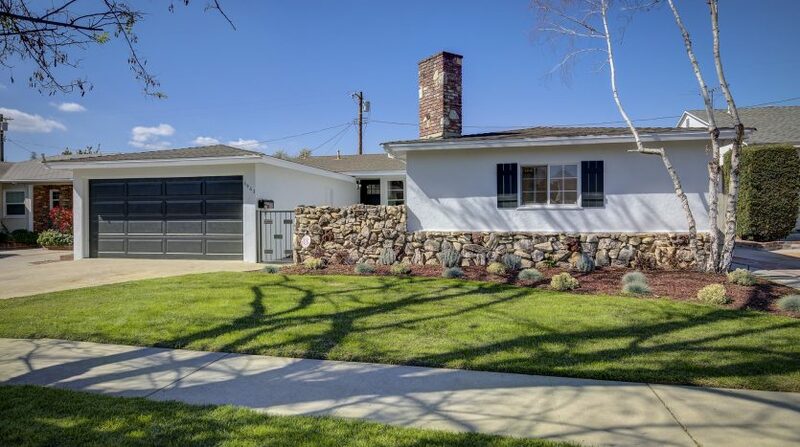 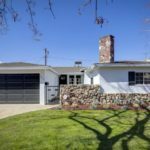 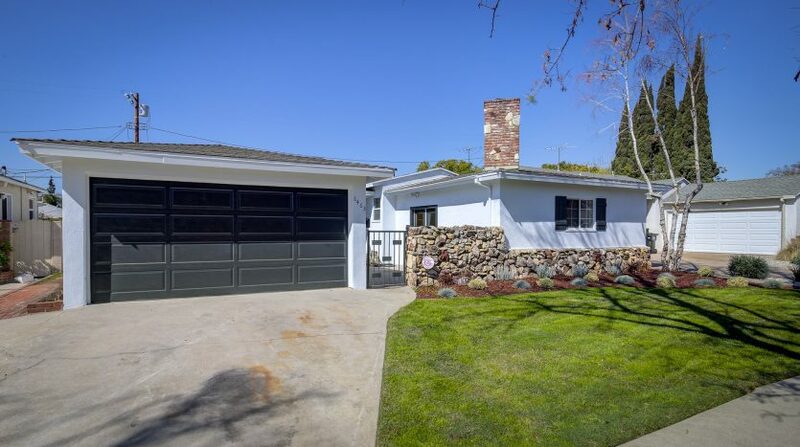 Sold: 6463 Whitaker Avenue, Mid-Century Lake Balboa Gem! 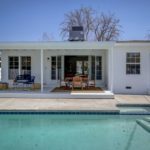 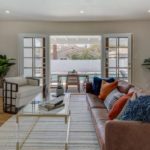 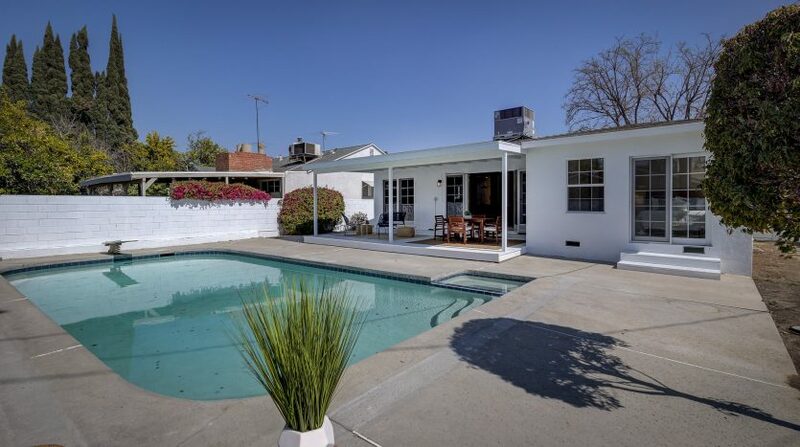 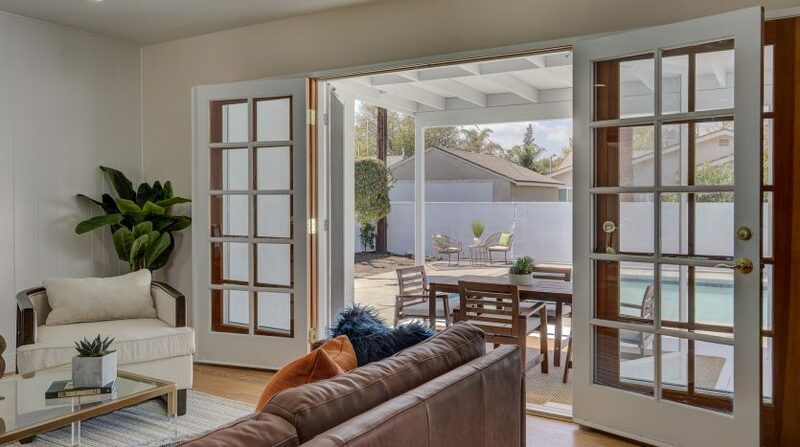 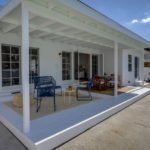 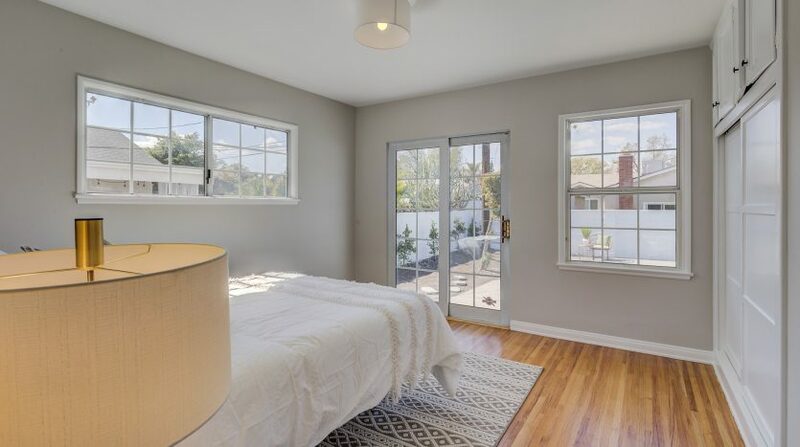 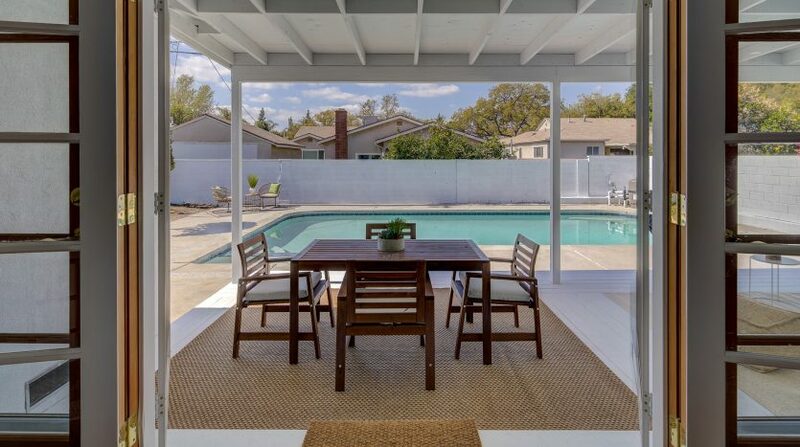 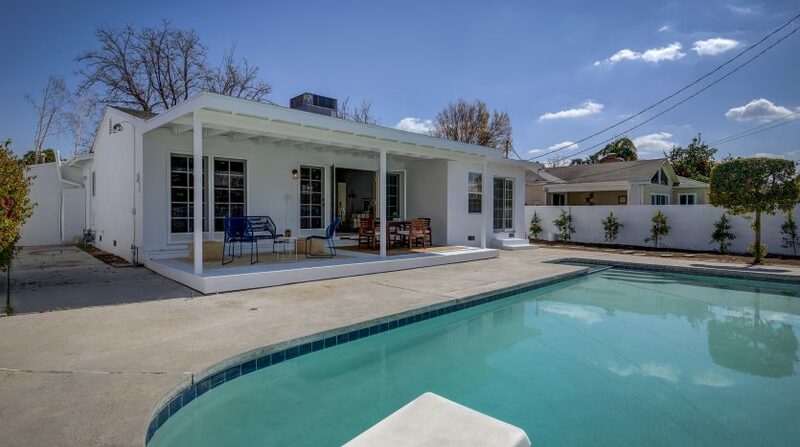 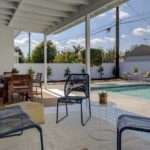 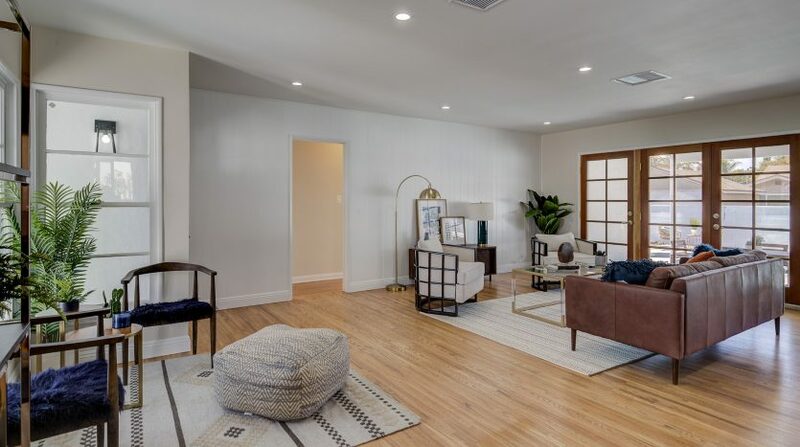 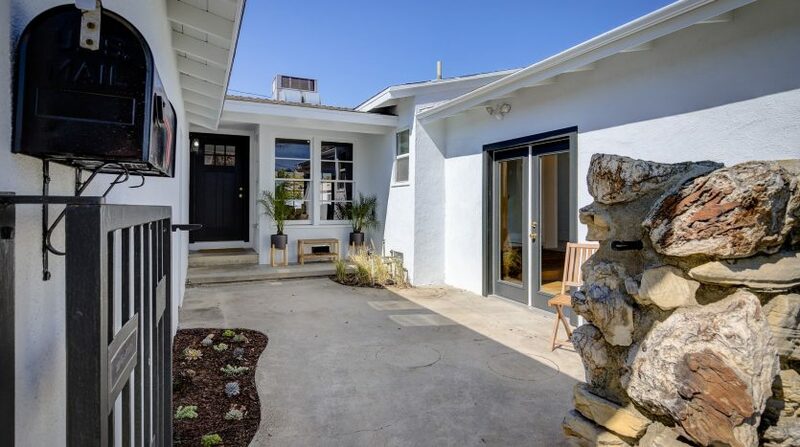 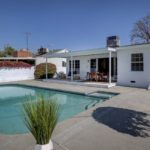 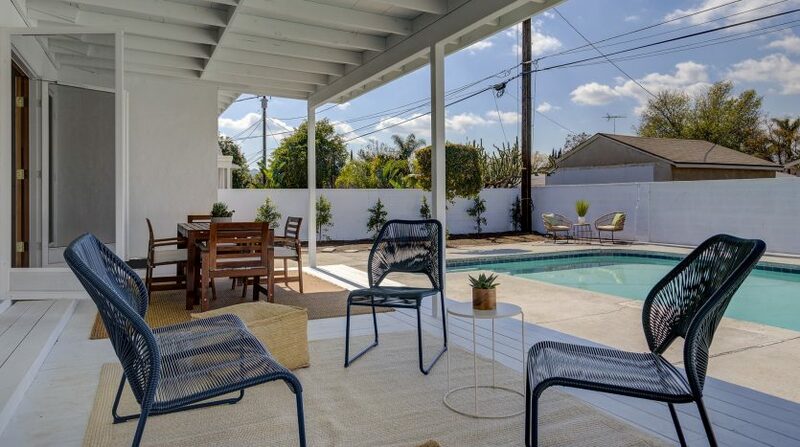 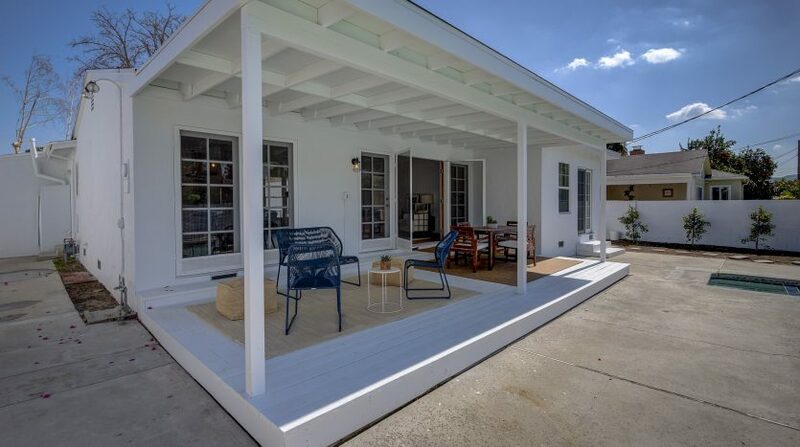 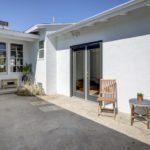 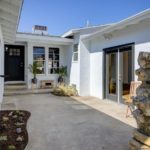 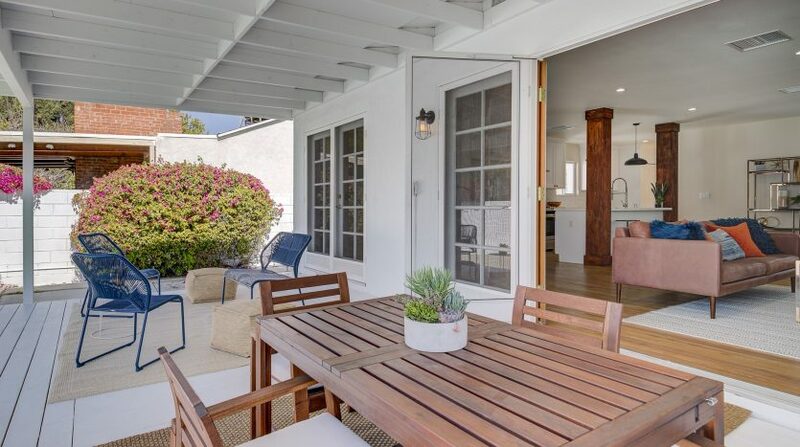 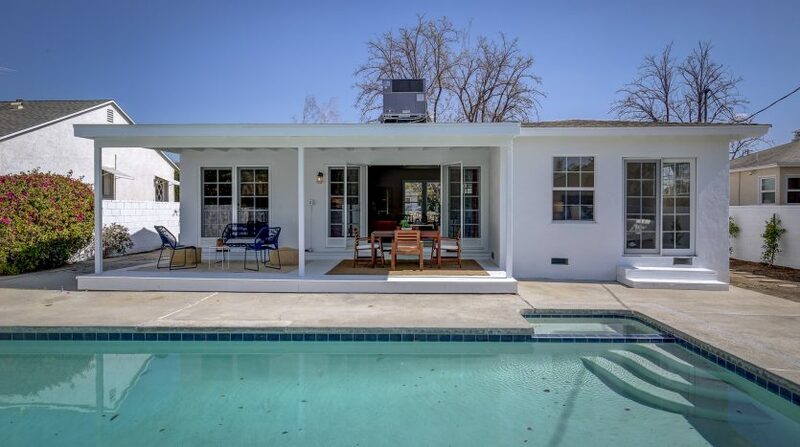 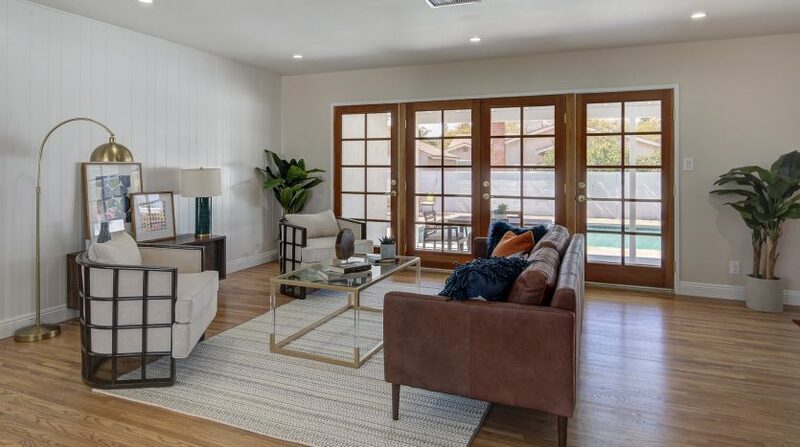 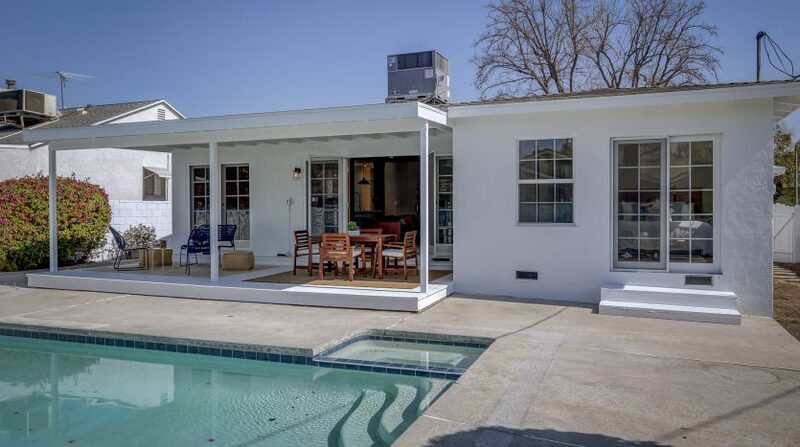 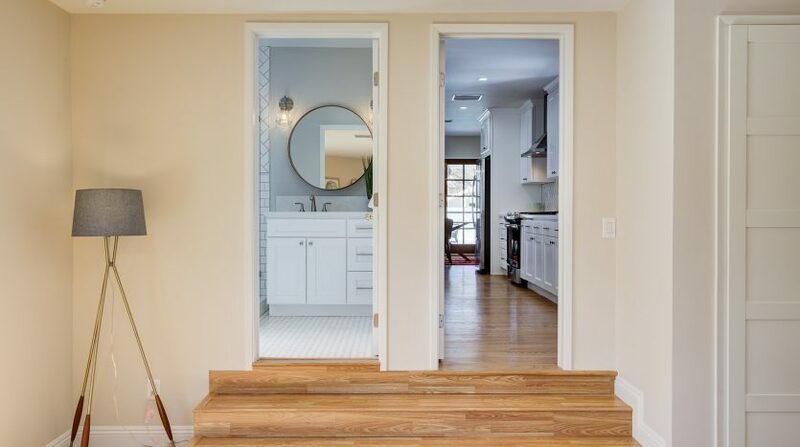 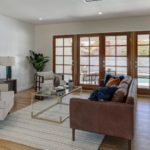 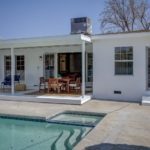 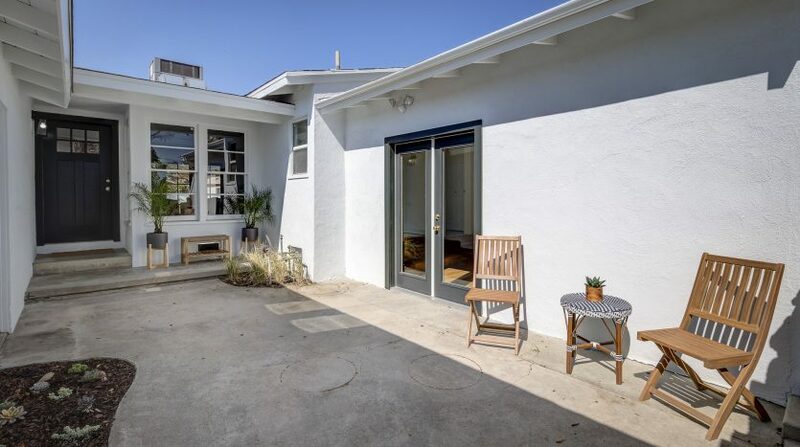 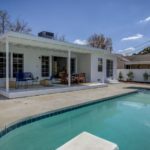 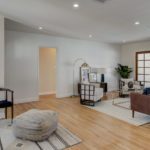 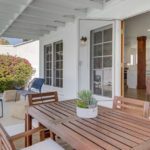 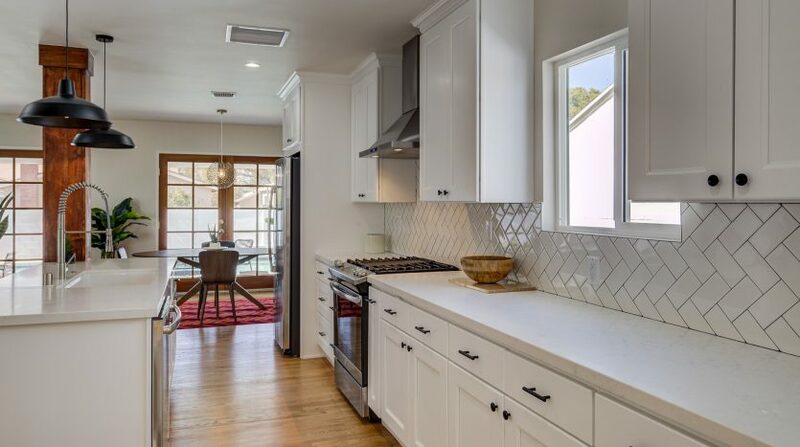 Beautifully remodeled with attention to design and detail, this updated, mid-century, pool house sits on a quiet, tree-lined street. 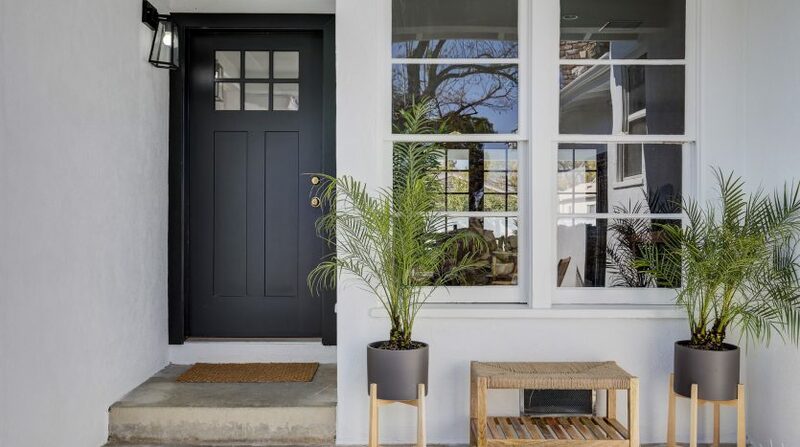 Curb appeal is just the beginning – this is an entertainer’s dream. 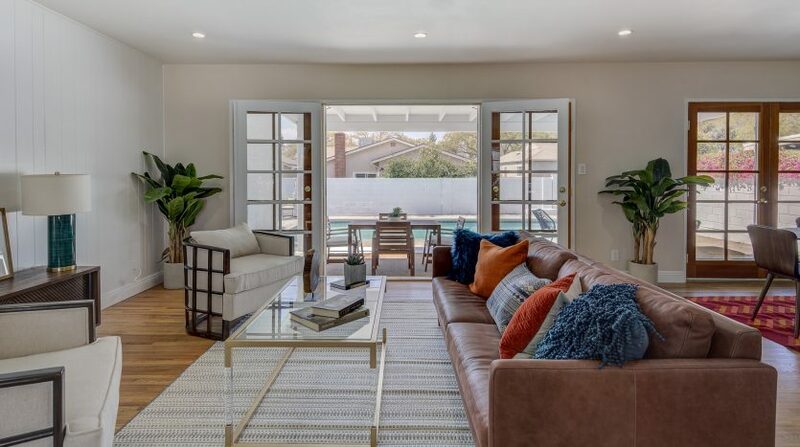 After walking through the courtyard (complete with a rock wall atrium), open the front door to a large, bright, and completely open living area with views to the pool through the multitude of french doors that line the back wall. 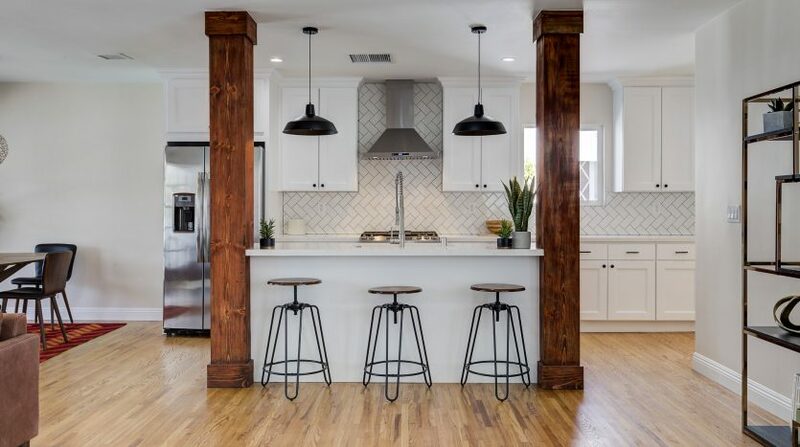 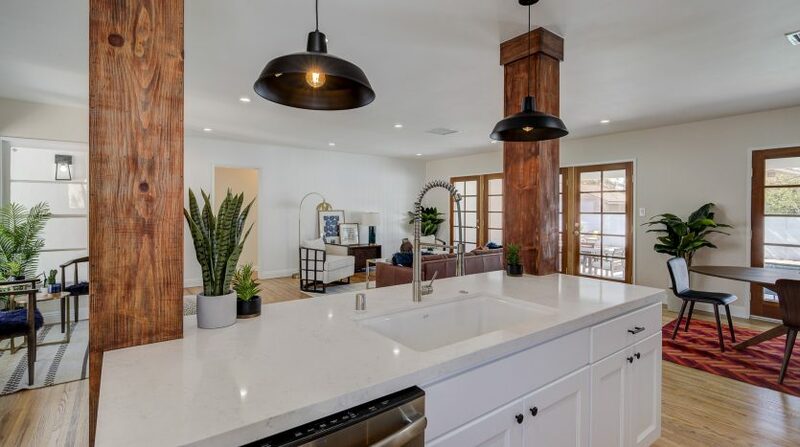 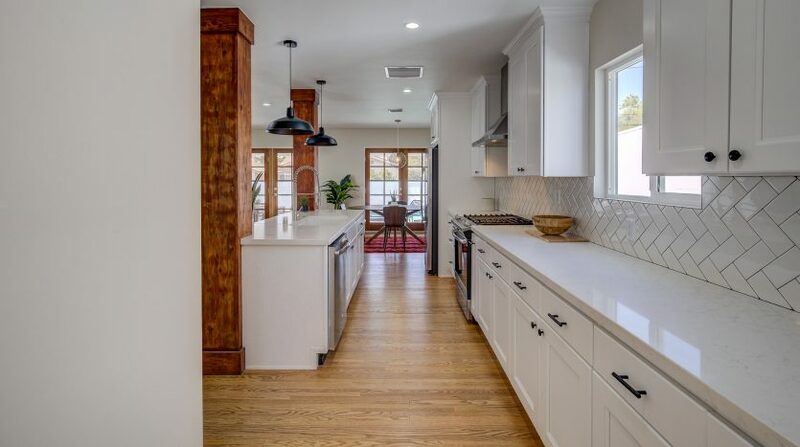 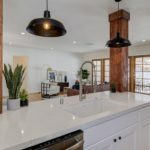 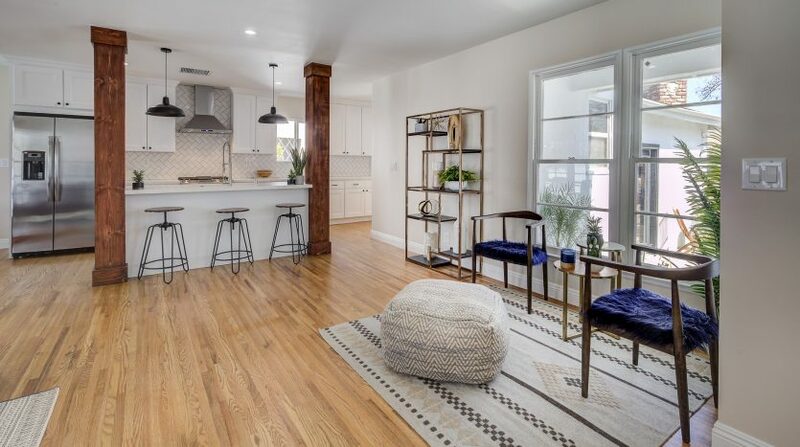 Cooking is easy in the dream kitchen gorgeously updated with white cabinets, an abundance of quartz counter top space, a large island, pendant lighting, and stunning wooden posts. 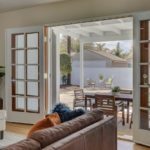 The french doors lead to a large, covered deck perfect for indoor-outdoor living and entertaining. 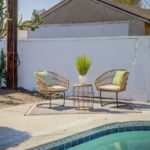 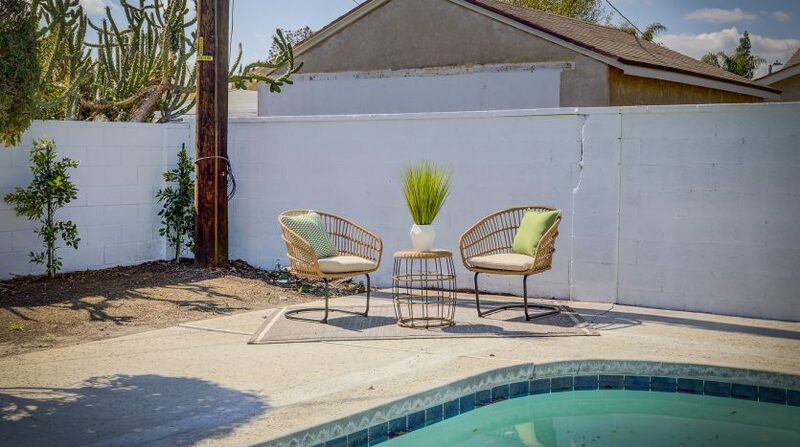 The backyard’s Palm Springs feel is complete with space for grass or gardening, and–even with the over-sized pool and wading pool–plenty of space for many lounging chairs and/or additional seating areas. 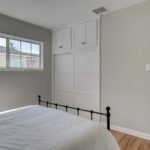 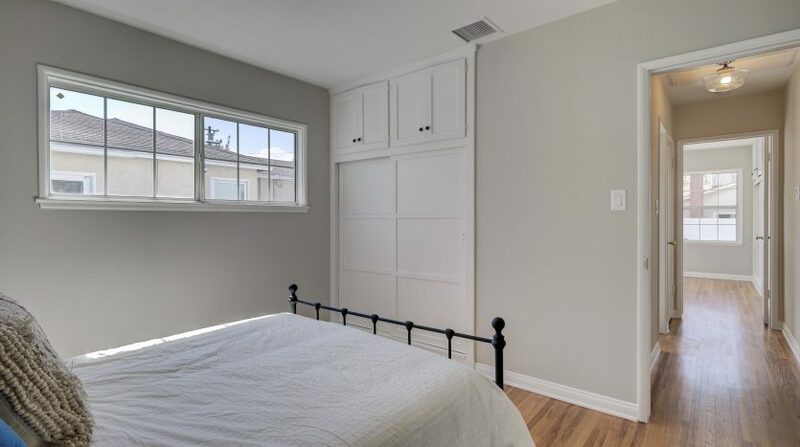 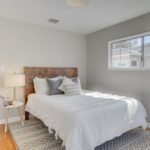 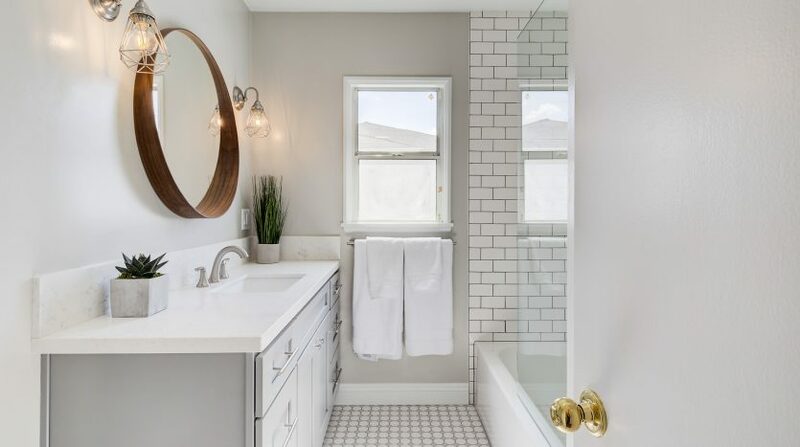 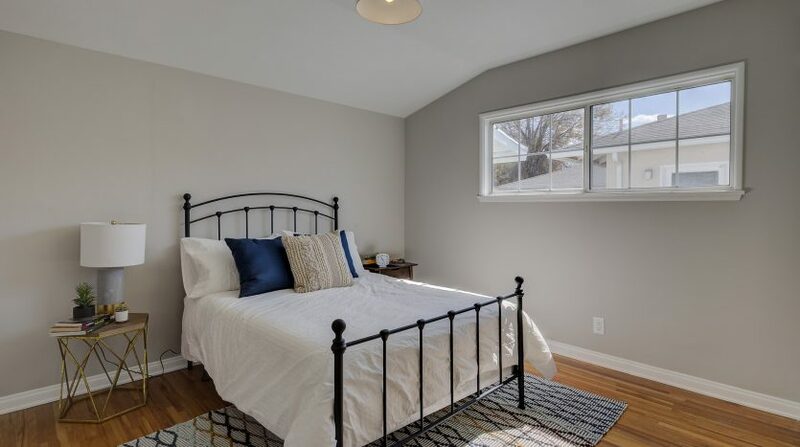 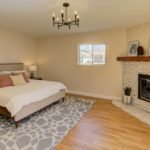 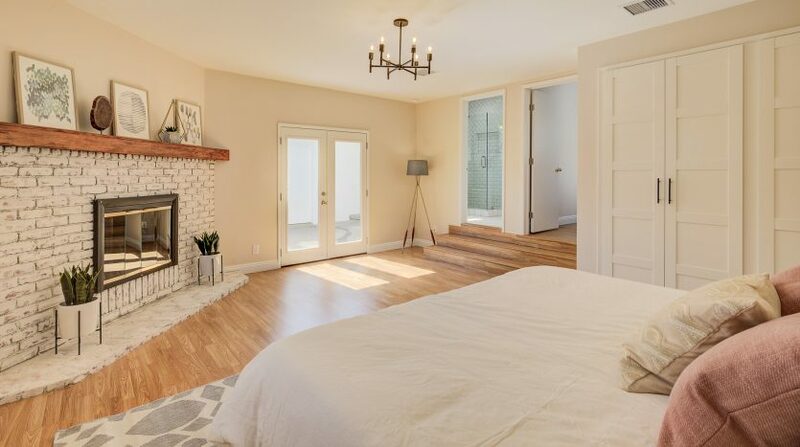 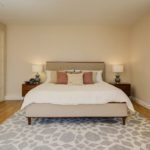 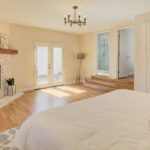 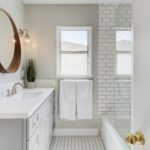 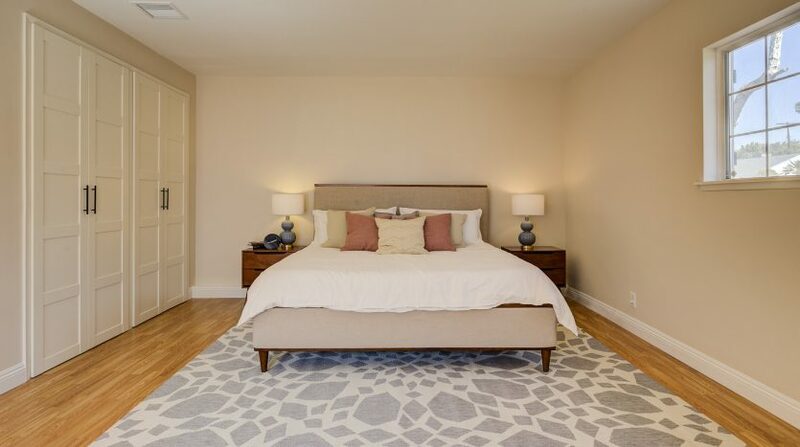 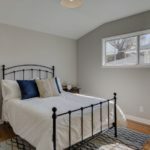 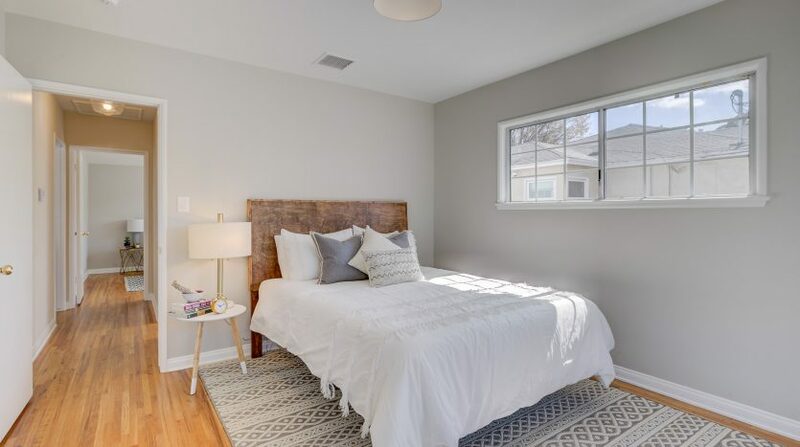 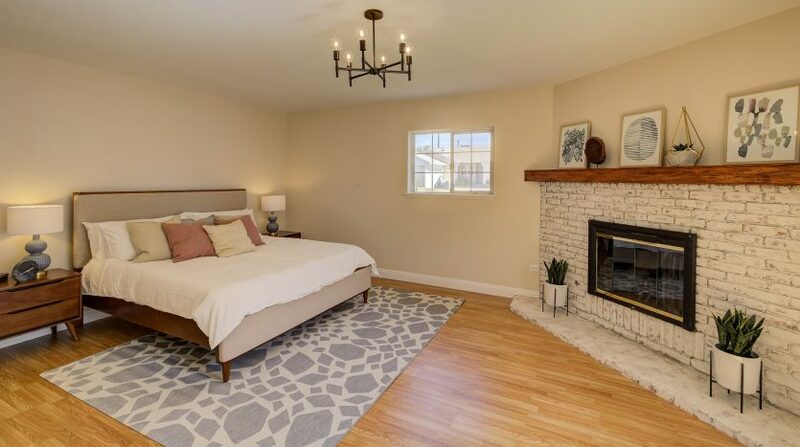 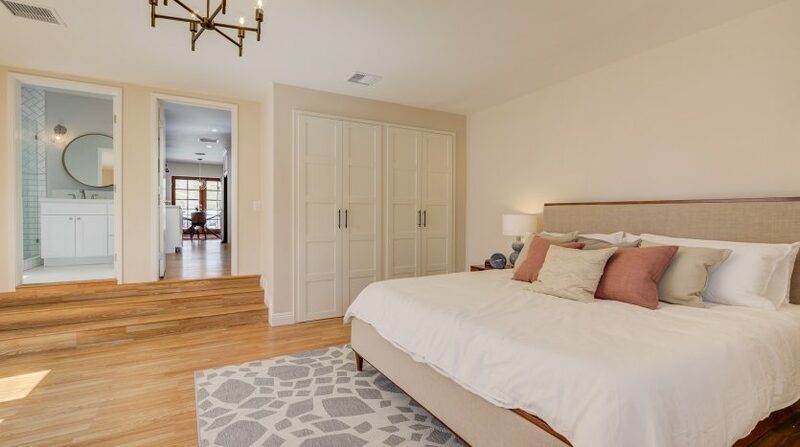 You’ll find a great en-suite master with a fireplace and floor-to-ceiling closet space, and two additional spacious bedrooms – one with sliding door to the backyard. 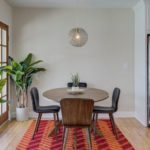 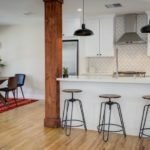 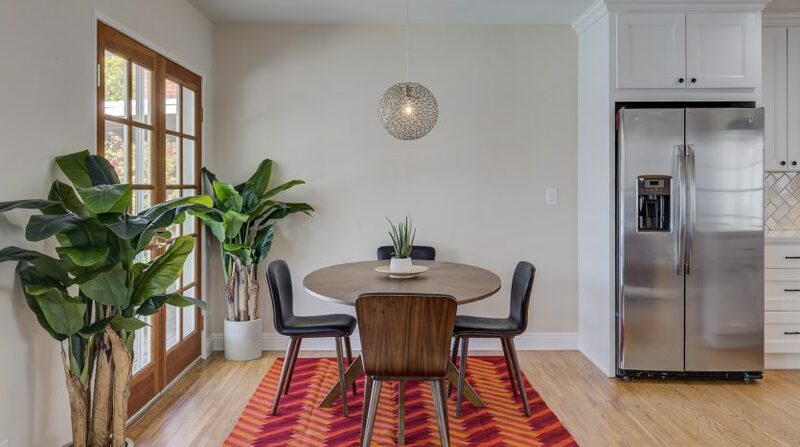 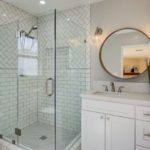 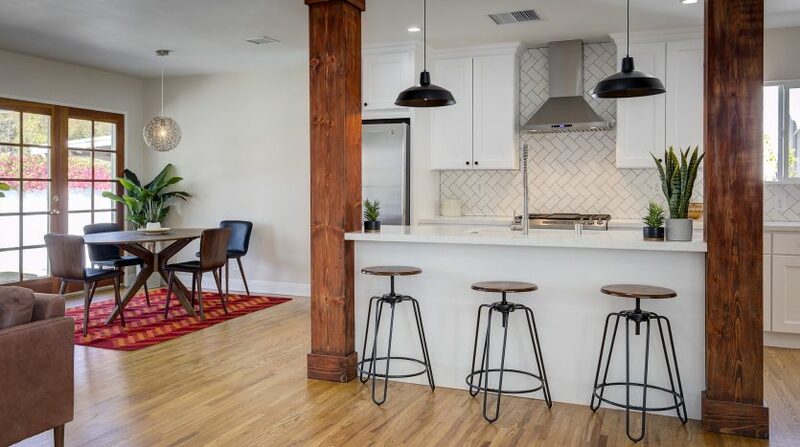 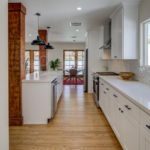 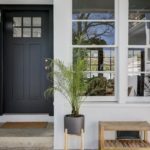 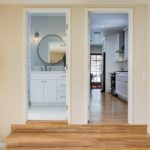 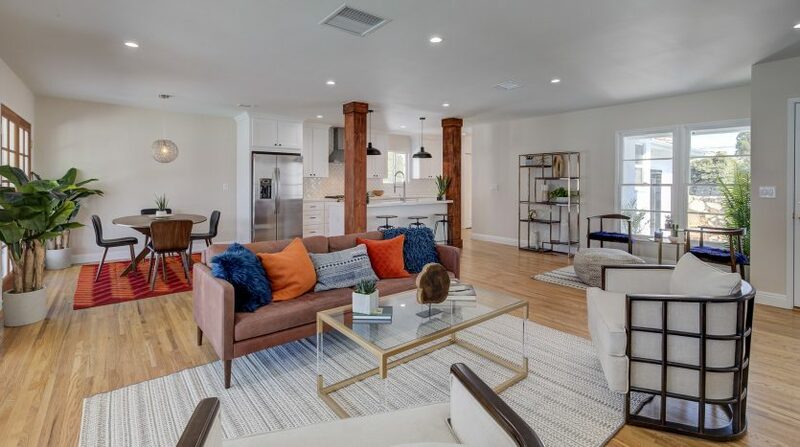 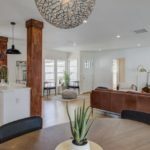 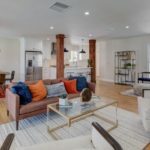 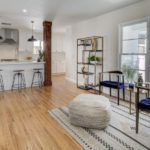 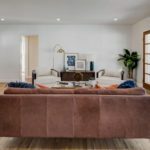 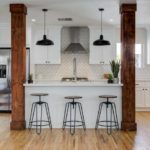 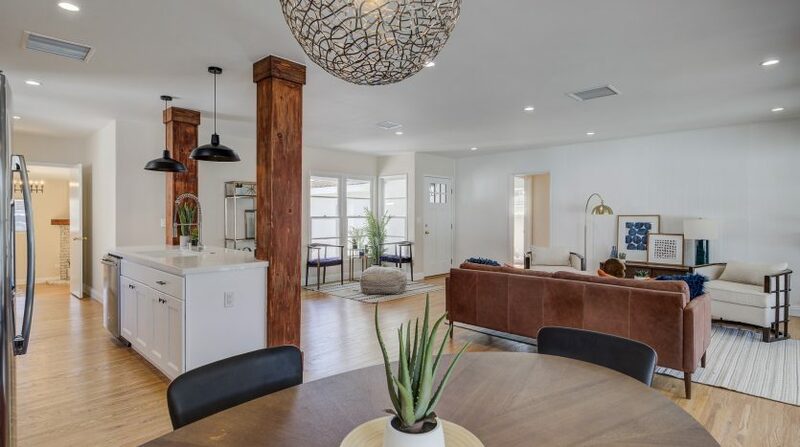 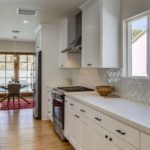 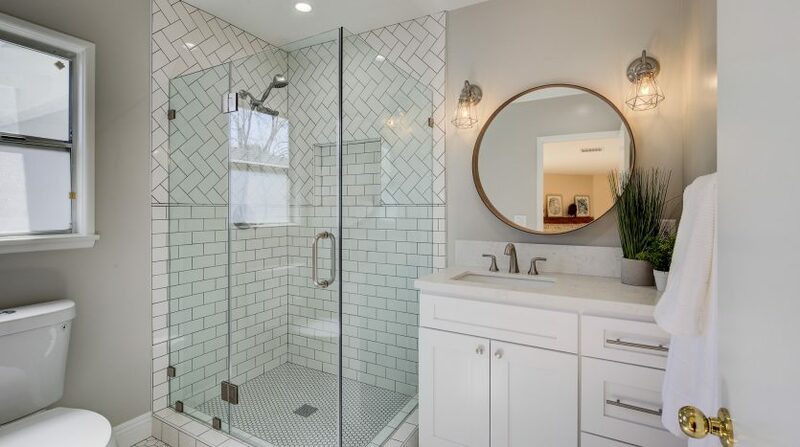 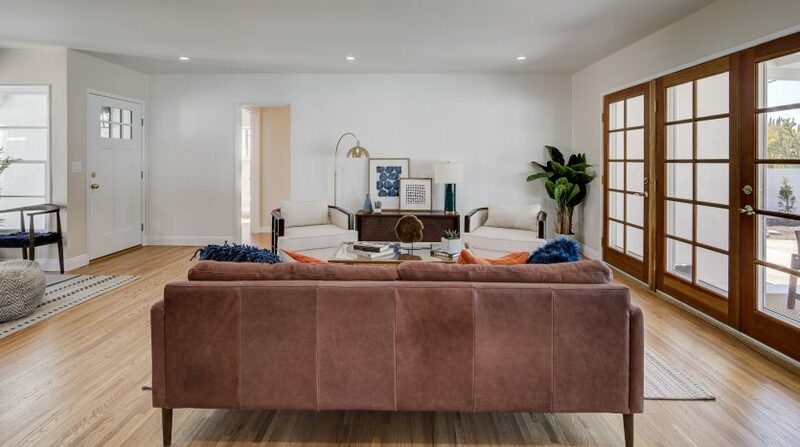 This house balances the mid-century, modern, traditional, and rustic styles, while incorporating modern necessities which complement and enhance this home’s great original features and aesthetic. 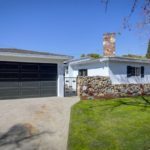 The 2-car garage includes work space, with the driveway being additional parking. 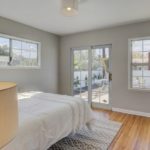 Just minutes away from the recently redone Sepulveda Dog Park, two golf courses, Lake Balboa, the Japanese Garden, and everything else the 80-acre park and nature reserve has to offer. 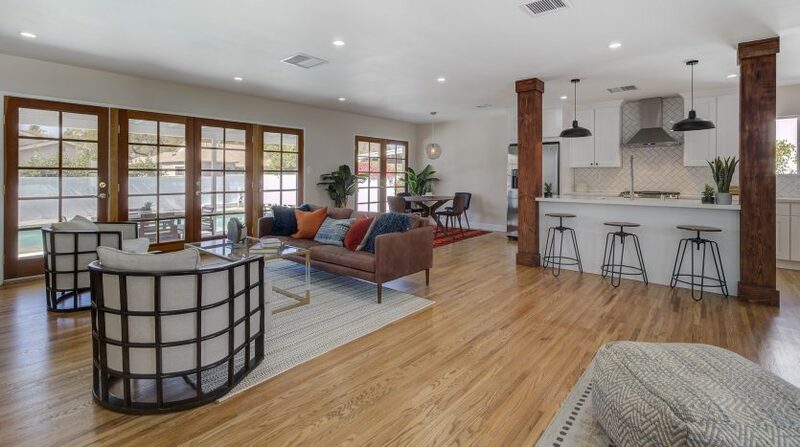 Easy access to the 405 and 101 freeways, the Orange Line, and Bikeway offers options for your morning commute or weekend excursions.